Heat oven to 350°F. Lightly grease ovenproof 10-inch skillet. Separate dough into 8 biscuits. Cut each biscuit into fourths. In large bowl, place biscuits; add melted butter. Toss to evenly coat each biscuit piece. In small bowl, mix pudding mix and brown sugar. Roll each butter-coated biscuit piece in chocolate pudding mixture. Place biscuit pieces in skillet in single layer. Pour any remaining butter around biscuits in skillet. Bake 20 to 25 minutes or until golden brown and bubbly. For an even more decadent monkey bread, top with hot fudge sauce. 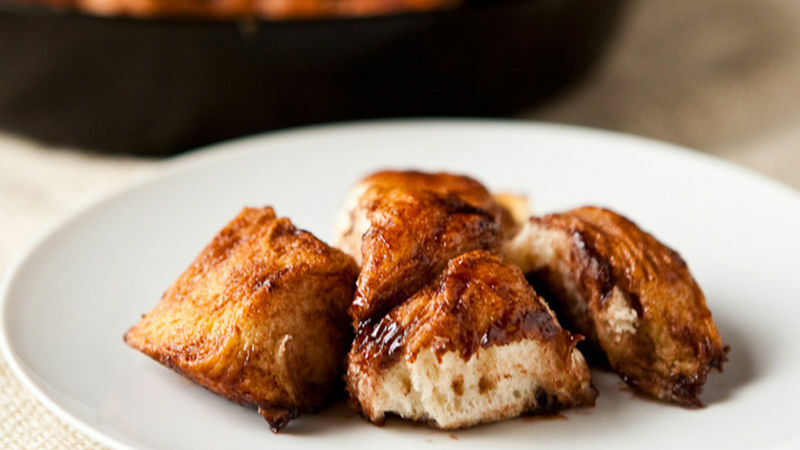 Monkey bread is best served freshly baked; however, it can be reheated the next day in a 200°F oven or in the microwave.